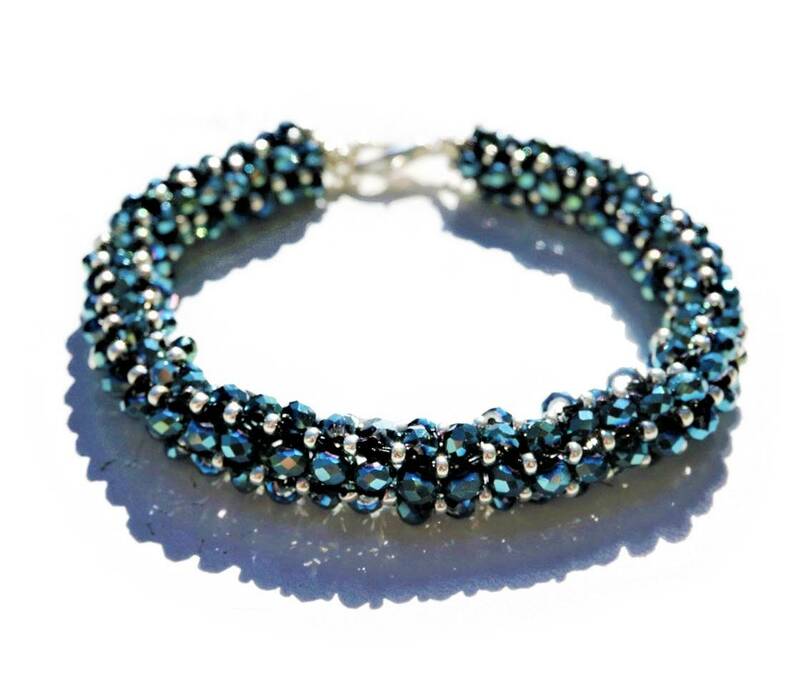 Filigree bracelet, woven from blue-shimmering faceted glass beads as well as silver Japanese Miyuki seed beads. 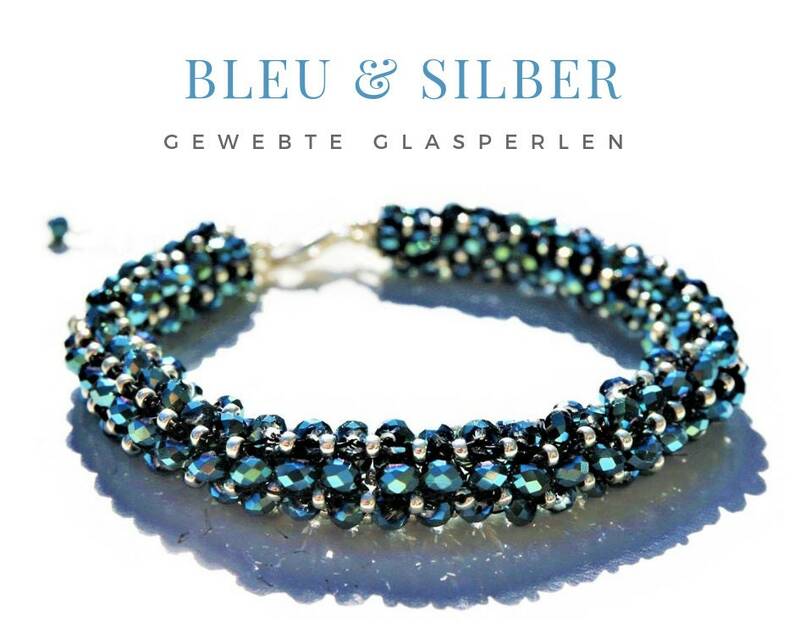 The bracelet is closed with a silver carabiner clasp and fits on a wrist circumference of 18.5 cm. Additional leeway is provided by the extension chain. 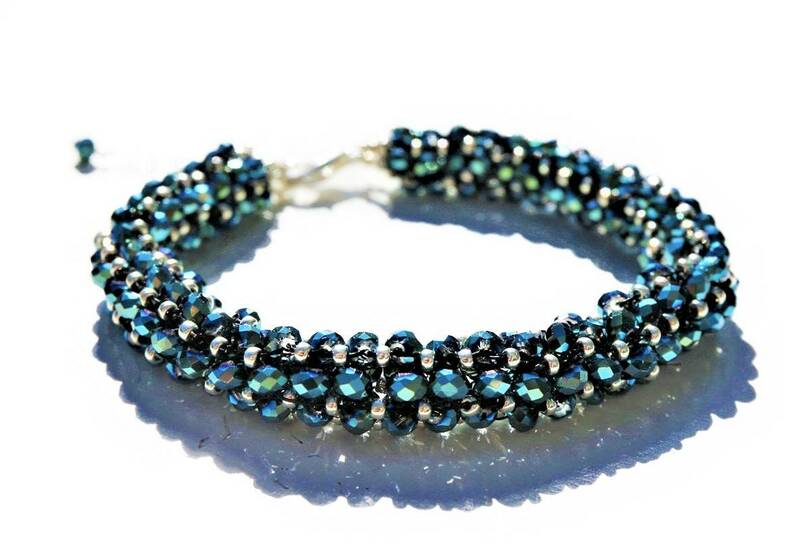 This bracelet is a handmade unique. It comes packaged as a gift in the organza bag.